Mac based web developers are probably familiar with manually starting and stopping the Apache web server in OS X through the command line by now, but if you want Apache to start itself automatically upon boot and reboot of a Mac, you’ll want to go a step further and use launchctl. By doing so, webdevs won’t need to run the apache start commands manually to start the Apache httpd daemon, it will start itself automatically each time the Mac boots up. Naturally, we’ll also show how to stop Apache from starting itself up on boot as well. Essentially what these commands do is load the apache web server launch daemon into OS X upon system start. Because it uses launchctl you’ll need to have administrator access through sudo to load or unload apache. Remember, this is only necessary for more modern versions of OS X which no longer have a ‘web sharing’ option in the Sharing preference panel. 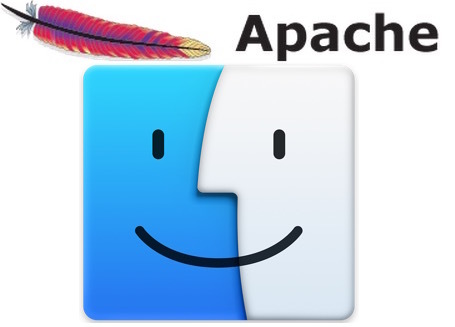 Note: This assumes you have already configured and setup Apache on the Mac, if you have not done so already you should start there, otherwise you’re auto-loading Apache without much configuration. Hit return and enter the admin password as requested to complete the job. 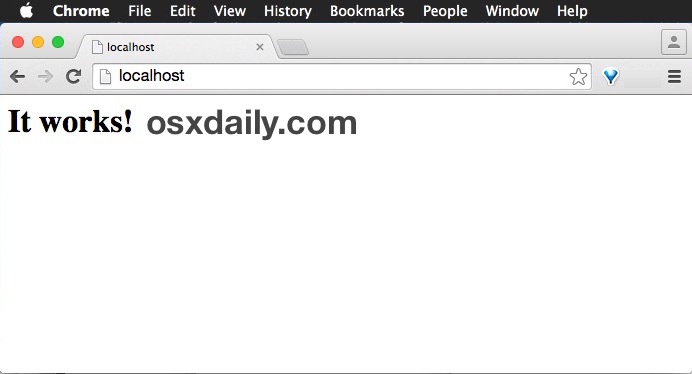 Now when the Mac is booted or rebooted, Apache will start automatically, which is easily verified by going to any browser and entering “localhost” as the URL. Going further, you can also enable the user level Sites option for localhost/~User, but that’s beyond the scope of this article, we cover that here. Again you will need to enter the admin password to confirm the change. Don’t see apache.httpd returned? Then the daemon is not loaded, and it will not automatically start. Apache can still be used and started manually, but it won’t start itself with a reboot or boot, pretty simple. If configuring Apache, PHP, and MySQL in OS X sounds overly complicated or is deemed too much of a hassle, another great solution is to use a pre-configured web server package like MAMP. MAMP offers a self contained web server solution as well, with Apache, PHP, and MySQL already included in an a single application package, a user just launches MAMP app and begins the necessary services to start and stop a web server for local development. MAMP is powerful and a great tool for Mac based web developers, and it involves generally much less tinkering and complexity than manually configuring the individual components to run in OS X yourself. Either solution can be great, so use whichever works for you and your comfort level. Well this is cool. Works in el capitan too. Just rebooted to verify. For single person workstation local host is sufficient no need for the user folders. Thanks. apachectl start, your web server will start at reboot. Have a look at the /usr/sbin/apachectl script. Great catch, thanks for the note!